Video is an indispensable marketing tool for improving your luxury real estate business. High-end real estate properties generally have a small market – it’s crucial that you’re able to earn the prospect’s trust and effectively close the sale when an opportunity presents itself. Atlanta is known for having multiple upmarket areas, where houses go for more than twice the national median and incomes per household are also almost double the national average. 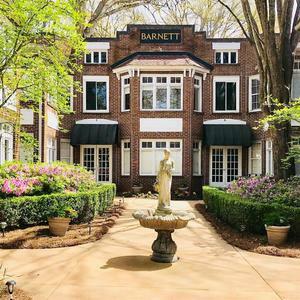 Some of these wealthy neighborhoods are home to doctors, lawyers and successful business executives, which is why Intown Atlanta real estate is referred to as the land of the 1%. Nothing really says luxury real estate like a private golf club. It’s not the golf itself, I’m pretty sure we’ve all seen golf courses that weren’t luxury real estate but a good private club just feels like a luxury, kind of like a good spa. Why pick when you can have both. The leader in private golf real estate is club corp. They have clubs from one of Atlanta to almost all 50 states, including more than 5 locations in the Dallas-Ft Worth Metroplex. Today we’re going to look at the Top 5 Club Corp Golf Real Estate In Dallas! Copyright text 2018 by Inside Luxury Homes.